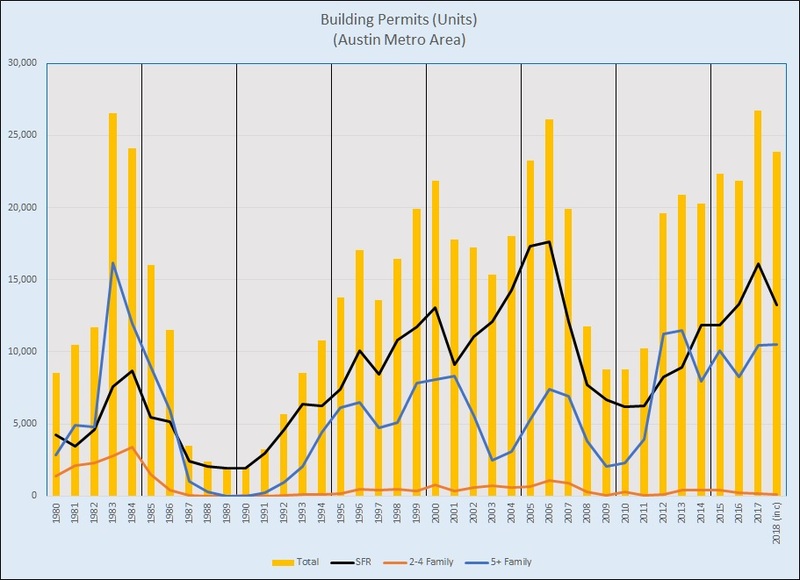 I haven’t written about Austin-area building permits since More on Housing Supply and New Construction in January 2018. 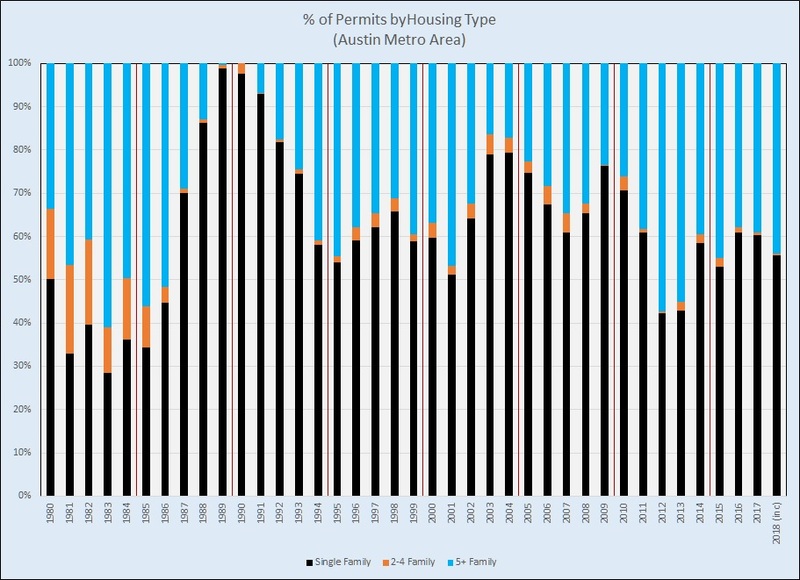 This post includes an update on permitting activity for this year as well as a couple of observations about the history of housing supply in various categories in the Austin metropolitan area. Note that the total units permitted peaked in 1983 at about 26,500, in 2006 at just over 26,000, and again in 2017 at 26,700 units. If 2,816 units are permitted in 4Q 2018, this year will set a new record. That permitting activity would be about half of the average of the past five 4th quarters, so there is reason for confidence that we’ll achieve at least that much. As you would expect, permitting activity declined during major market downturns — notably over the past 30 years during the savings and loan crisis in the late 1980s and after the mortgage market meltdown in 2008-9. Confidence was not so significantly impacted by the market decline in 2001, as indicated by the much shallower dip in new building permits in 2002 and 2003. 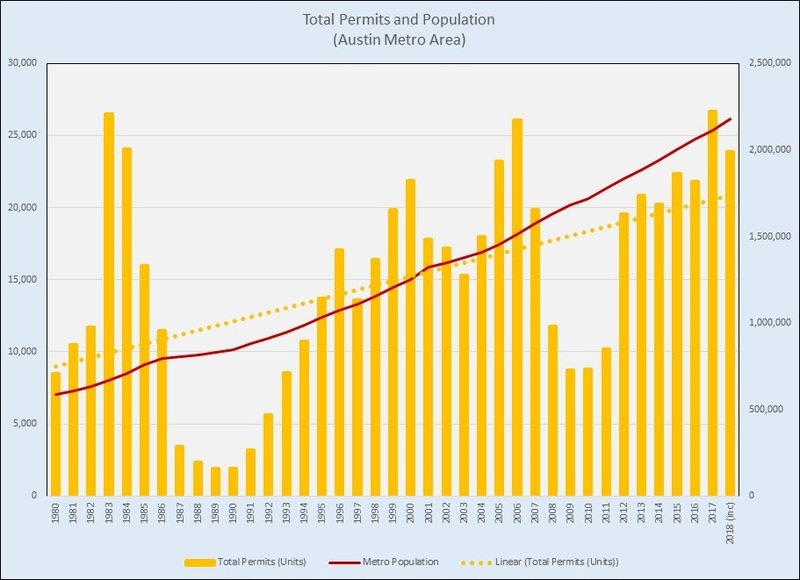 Notice that permitting was far below population growth from 1987 through 1993 and from 2008 through 2016. That discrepancy is at the heart of the housing shortage that Austin has experienced in recent years, but it doesn’t fully explain the affordability crisis that continues to worsen. 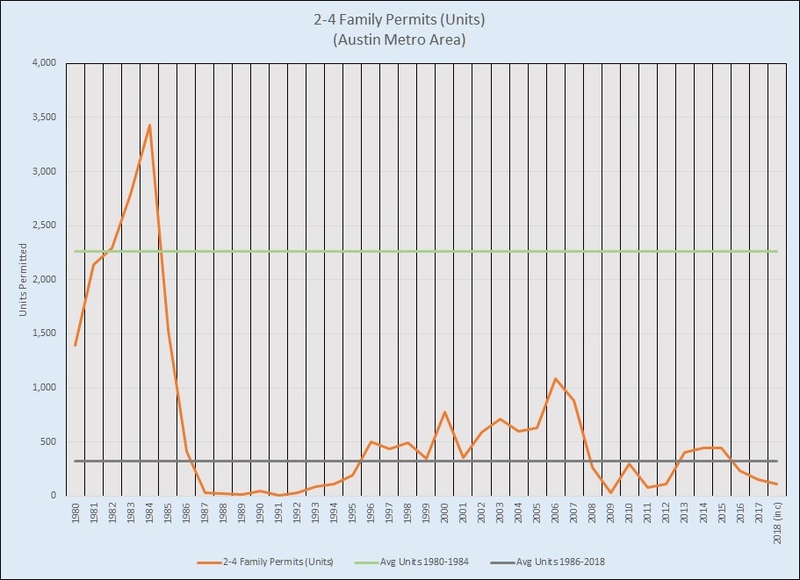 Referring back to the first chart above, notice that permitting new units in 5+ family projects peaked in 1983 at a little more than 16,000 units. It fell below 12,000 units in 1984 and continued to decline, staying below 10,000 units annually until 2012 — more than 25 years! Permitting of these properties dropped below 500 units in 1987 and stayed very low until it next reached that level again 1996. The most recent peak in this housing type was in 2006, at just under 1,100 units — less than 1/3 of the 1984 level, more than 30 years earlier! Most of us have images in mind of what a duplex or a fourplex looks like, but walk or drive through many of Austin’s most treasured neighborhoods and you’ll see many examples of structures that contain two or more dwelling units and that blend beautifully into their surroundings. 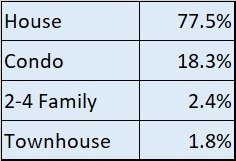 More dwelling units per acre obviously can affect the cost of each unit, and especially around the periphery of great neighborhoods that can be done without changing neighborhood character, while allowing more Austinites to live where they want or need to live. Austin needs land use policy that will allow for this kind of development in the future. This is a conversation worth having.